Alexander is going to play at Roppongi Satindoll on Wednesday May 27. 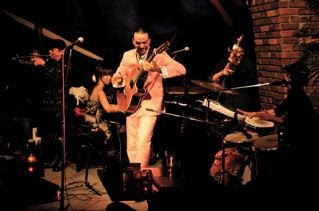 This will be his second show at this established jazz club in Tokyo. Please make a reservation as soon as possible! Call Satindoll at 03-3401-3080 or acess to its HP http://www.leglant.com/reservation/index.cgi .